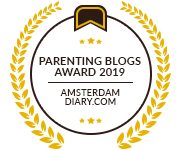 Christmas in The Netherlands – Part One: Sinterklaas is coming to town!! Christmas is a magical time of year all over the world. As an American I kinda took for granted that everyone celebrated Christmas in much the same way. You know, big fat guy, the 25th of december, dead tree in the living room…. The look of said fat guy and what your family typically eats on the day changes but everything else remains basically the same. Right? Wrong. And it was a shock to my system to say the least! The Dutch spice it up in a BIG way! Pretty much it’s completely different, COMPLETELY different from the traditions I grew up with. This is certainly not a bad thing, don’t get me wrong. Once you understand what going on it’s really great. 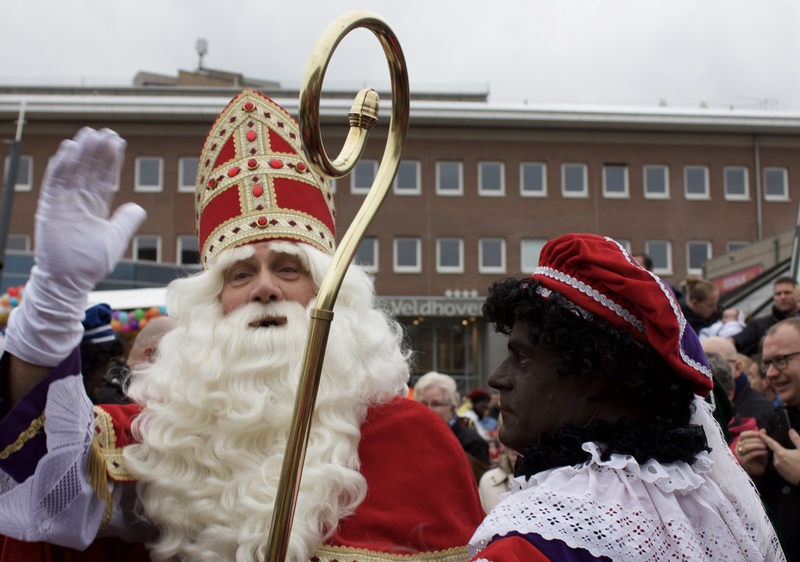 Sinterklaas (Saint Nicolaas) is a tall skinny old man who dresses like the pope. He lives in Spain (I personally would prefer Spain to the North Pole). 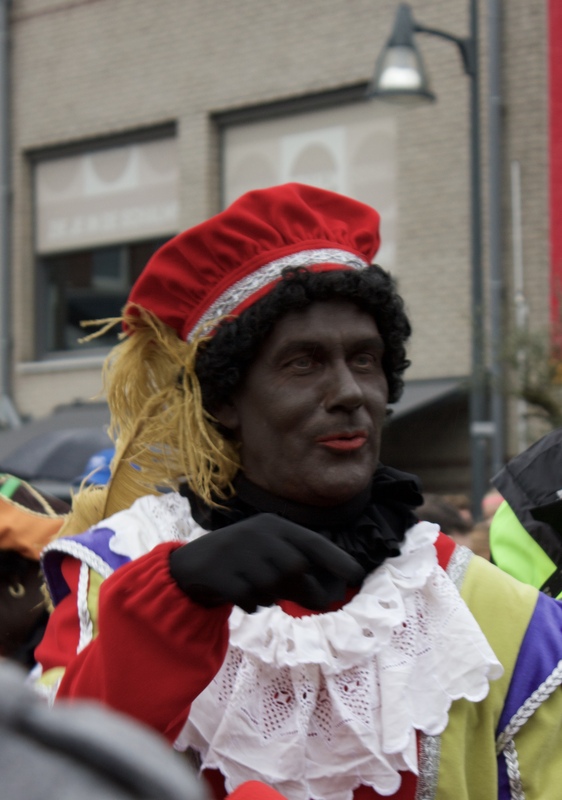 His helpers are called Zwarte Piet (singular) or zwarte pieten (plural). They have black faces because they go up and down chimneys and get covered in soot (That’s their story, at least, and they are sticking to it). 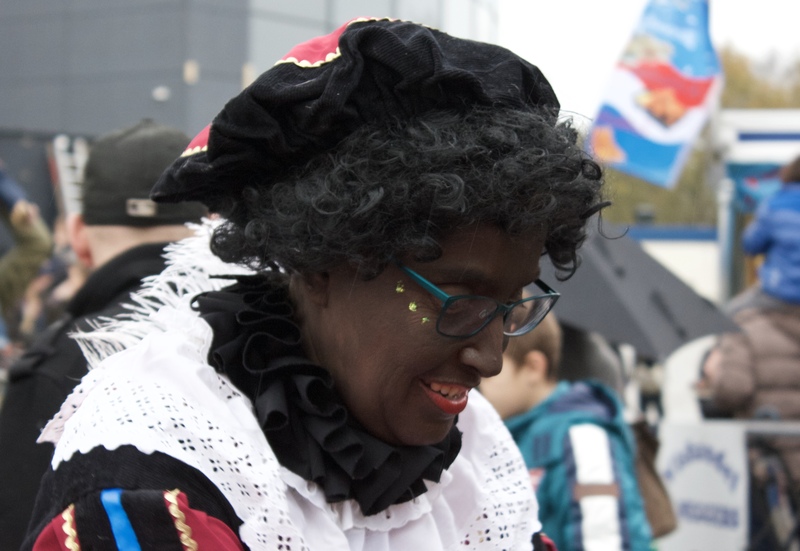 Every year there is a huge controversy about Piet. From what I understand the story said they were slaves that were freed by Sint and chose to stay and work for him. The story changes every year and every year Piet gets a little more politically correct. Honestly I think they could do with a bit of a face lift but the reality is that they are loved by children and that’s all that matters. Pieten are happy, silly, dancing men and women who spread joy. This is good enough for me (though I won’t be dressing my kids up in black face any time soon). They are trained to do different jobs, one is in charge of inventing toys, gift wrapping, navigation, ect. Sinterklaas and his Piet come to The Netherlands by steam boat (named Pakjesboot 12) mid November. This is called the Intocht (arrival). They will live here until December 6. Sint uses this time to visit children and review his lists. During this time Sint goes from house to house checking in on all the children making sure they are being good. He travels by horse while in the Netherlands. The horse is named Amerigo. It is customary for children to leave Amerigo a carrot, some hay or a sugar cube in their shoe before bed. The shoe is then placed by the fire place or the radiator. In return the children find a small present or some candy in their shoe the next morning. Presents are delivered on December 5 in a burlap sack. A few things can happen if the child has been naughty (I suppose it depends on how much the parents want to frighten their kids). They may get no presents, they may be abducted and taken to Spain where they are forced to work for the next year as punishment, or they may be placed in the burlap sack and beaten with sticks by Piet (all very good incentives to behave). A chocolate letter is a customary gift from Sinterklass. The letter being the first letter of the person’s first name. Even adults get this one. Yummy!! This year Intocht was on Saturday, November 14. My family and I went to our local city center to see Sinterklass arrive and help celebrate. 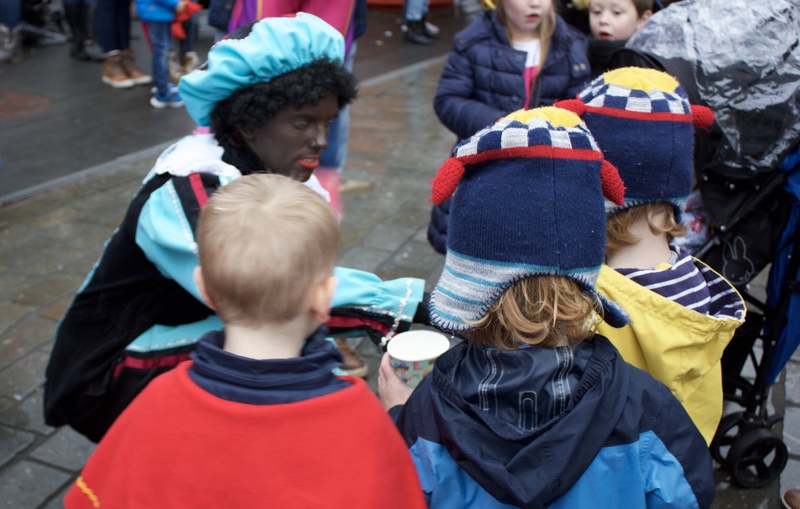 The children dress up as either Sint or Piet and there is singing and dancing and a general festive atmosphere. 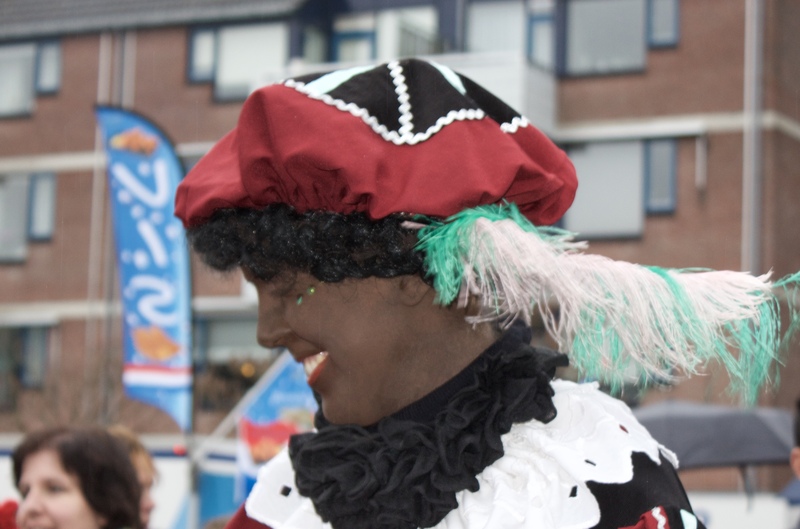 These are a few of the Zwarte Pieten. They hand out tiny spiced cookies called kruidnoten to the kids. My daughter is dressed up like Piet and my son is wearing a cape like Sint. This is the best I could manage with my two strong willed children. I have come to really love the Sinterklaas season. There are so many activities for the kids during this time. 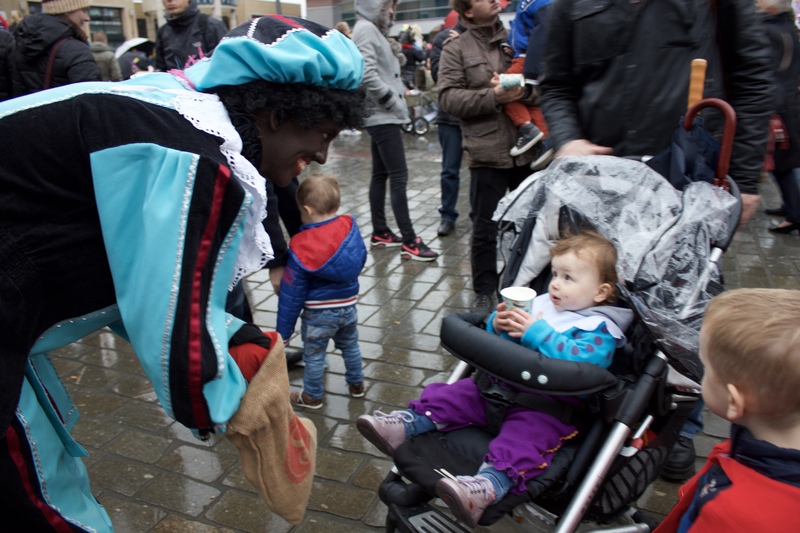 For the kids of the Netherlands, Sint and Piet are real tangible people who they can meet and touch and interact with all season as opposed to a mystical being that sits around at the malls. I love it.